An overview of THE AGE on CBC All Points West's Beyond the Bestseller. 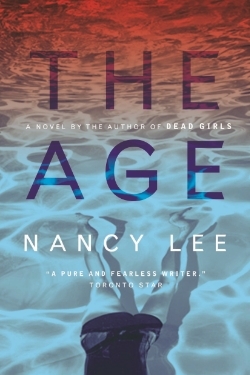 Set during the final throes of the Cold War, Nancy Lee’s highly anticipated first novel, The Age, is an ambitious and prophetic meditation on the collapse of family, the price of friendship, and the human struggle to find purpose in the face of mortality. The year is 1984 and the world is coming to an end, or so believes a confused, headstrong fifteen-year-old girl named Gerry. As Soviet warships swarm the North Atlantic, Gerry ingratiates herself with a group of activists who plan to detonate a bomb during a peace rally. Her desire to make herself the agent of their plot, and her fascination with the group’s leader, Megan, creates an irreparable rift between Gerry and her best friend, Ian. At the same time, Gerry has found a substitute for her absent father: her paternal grandfather, the eccentric, ex-wife-obsessed news anchor, Henry Cross. As these new relationships impose pressures that are unexpected and strange, Gerry escapes to the role she knows best, hero in a violent, post-nuclear dystopia of her own making. Gerry’s dual existence – her real life and fantasy life – alternate and accelerate until a collision of irreversible events forces her towards life or death decisions in both worlds. Rendered in sleek, muscular prose and inimitable sensitivity, The Age is at once a harrowing post-apocalyptic drama, a deeply moving journey through adolescent recklessness and desire, and a dark portrait of a generation shaped by nuclear anxiety. Its arrival confirms Nancy Lee as one of Canada’s most thrilling and compelling voices.